Blind spots typically increase the risk of dangerous situations such as a blind curve, an unprotected quarterback or an unknown situation. We mitigate some of the unknown with mirrors, backup cameras or an offensive tackle for blindsides. When dealing with unfamiliar conditions, information is the key to reducing the chance of something going wrong. Telematics helps provide, and even act on, real-time information necessary for quick and educated decisions. 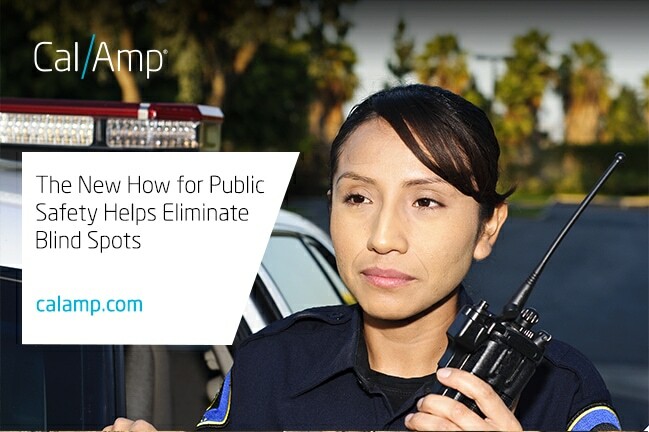 Public safety officers in the field need data when responding to a call. It might be medical information. It might be building schematics. It might be collecting evidence. They also need to capture the information for computing on the edge or post-event analysis. Staying connected to dispatch, other agencies and local officials is important to resolving some situations. Back at the station, personnel need to stay in touch with the officers and know their locations for faster dispatching. It can be very manual if someone has to do a radio check with each officer or team on duty. Fleet managers are responsible for keeping the vehicles in working condition. Maybe the default schedule is a monthly tune-up because it is easier than having a technician check every speedometer or oil gauge. However, this method could cost more and still miss critical conditions. These are just a few of the blind spots in public safety operations. One way to improve productivity and safety is by implementing a telematics solution. A full-stack solution of devices and software provides actionable, real-time data about location, operating status and more resulting in fewer blind spots, improved fleet visibility and increased communications. In the field, telematics solutions help transform an ordinary vehicle into a communications and data hub known as a vehicle area network (VAN). It is a mobile, broadband-connected Wi-Fi network that lets on-duty personnel use various handheld devices to securely exchange video, infrastructure information, GIS and other data with each other and with headquarters or dispatch. The programmable cellular broadband routers such as the Vanguard 5530 connect using 4G LTE. These devices can host single or multiple applications, make autonomous decisions, and share resources and information with each other. Business decisions become faster because the data processing is done at the edge – in the vehicle. The new technology integrates with the legacy systems, makes decisions automatically and backhauls to a cloud-based management system that’s accessible from anywhere. Smart, connected devices act together not just as discrete units but as virtual nodes of a distributed intelligence platform. 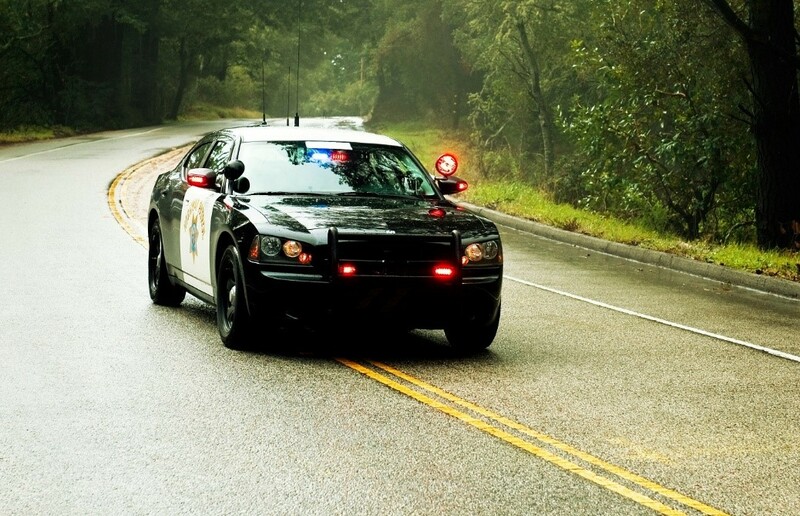 Read about a successful implementation in our Mountain View Police Department Case Study here. Another public safety organization added VAN capabilities to improve dispatching and interoperability for internal communications as well as with other agencies. A fleet management solution, like GovOutlook™, provides access to your vehicles in the field or parked at the station. It gives your vehicles visibility with mapping and tracking benefits on an Esri display and breadcrumb reporting. With a direct engine connection, diagnostic trouble codes are available. Sensors help monitor various aspects of the vehicle environment from ignition to lights/siren to PTO to other devices. Chiefs and other personnel have reports and notifications on driver behavior. In addition to safer driving, this information helps reduce fuel and maintenance costs by providing insight into excessive idling, hard braking, speeding and more. Good solutions also offer third-party integrations for one-way or bi-directional data exchanges for computer aided dispatch (CAD), GIS and routing systems. Considering GovOutlook benefits only, the solution offers driver messaging terminal and panic button options for improved communications and safety during tense situations. The panic button is either dash-mounted or a wireless handheld and sends a priority signal over-the-air. As you can see, even the same technology can be harnessed in different ways depending on the need at hand. The information and communications provided by these solutions help to eliminate the blind spots whether personnel are working in the field, responding to a call or at the station. Visit with us and LoJack at the 2017 IACP Conference Expo in Philadelphia on October 22-24 at booth #1326. To learn more about our solutions, visit CalAmp® here and LoJack® here.